All tracking was being done by pen and paper, and they are having to start from scratch to set up some basic inventory tracking. The client was hoping to modernize the way they handle transactions and simplify inventory tracking, but fears that it will take six weeks or longer to get everything set up in a new system. It wasn’t mentioned explicitly, but there are also some reviews out on the internet about rude employees, so tracking who is there on what day would provide some accountability. They have very cute artsy-type tags on their items, and don’t want to downgrade to “plain jane” ticketing. They also sell gift cards and want to be able to track those. The owners asked the client to do some research into point-of-sale solutions, so she was finding different catalogues and reaching out to multiple companies to find out more about the differences, both in features and pricing, of each product available on the market. She needed to be able to e-mail receipts, charge for no-tax classes, have whole-day percent off sales on certain items, and print off weekly, monthly, and yearly reports for sales and inventory. She also expressed that they may need a laptop computer to have with the cash register, so their currently existing PC can be used for looking up patterns for customers, and other customer service needs that may not be efficient to have running at the same time the register is being used. WaspLabeler with a label printer need to be added for custom tags. The standard software would cover most needs, but the professional would include real-time updates, the ability to have individual user logins, and extended reporting capability. We are able to put together a “rapidstart” bundle, but customize it with options for a label printer, WaspLabeler, and a basic laptop to run the software on. 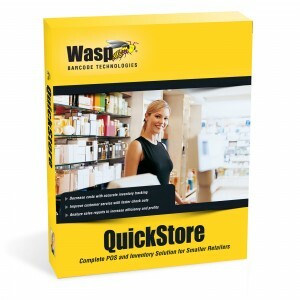 Wasp Quickstore would easily meet their software needs, but at EMS Barcode Solutions we can create a package that doesn’t leave any loose ends, and as Diamond-level Wasp partners, we offer the best prices on the start-up bundle and ongoing support for repairs, tech support, and general maintenance like buying new labels. 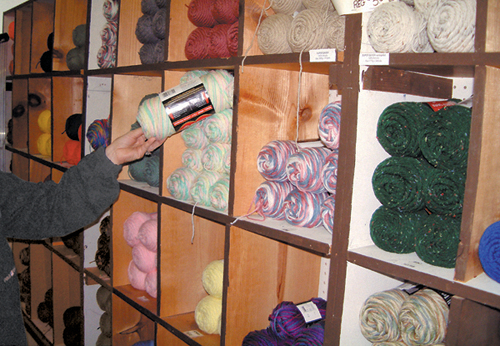 Like us on Facebook to get updated news on point of sale solutions for Arts & Crafts stores and other special offers!